Home Kollywood News Janhvi Kapoor to act in Arjun Reddy’s Tamil remake? The Tamil film industry was shocked by the news that the makers of the Kollywood movie ‘Varma’ are shelving director Bala’s version and are planning to re-shoot with a new cast and crew. The producers are retaining actor Vikram’s son Dhruv Vikram, who is all geared up for his debut in Tamil film industry. 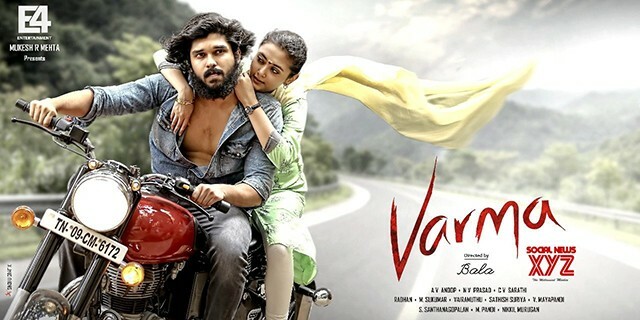 Bankrolled by E4 Entertainments, ‘Varma’ is the Tamil remake of Tollywood super hit flick ‘Arjun Reddy’, which featured handsome Vijay Devarakonda in the lead role. The latest buzz about the movie is that late veteran actress Sridevi Kapoor’s daughter Janhvi Kapoor is making her debut in Kollywood with this movie. Director Bala’s version of ‘Varma’ had actress Megha as the female lead. But the makers are not satisfied with her performance and are planning to replace her with the young actress in the new version, which is set to release in June. Earlier it was speculated that Janhvi Kapoor is making her debut in Tamil remake of Bollywood hit film ‘Pink’, which is bankrolled by her father Boney Kapoor. But it turned out to be a rumor. Director Bala had made some changes to the story line, which was not well received with the makers. The National Award winning director has quit the movie because of creative differences. On the technical front, Janhvi Kapoor will next act in Karan Johar’s multi-starrer flick ‘Takht’, which includes an ensemble cast like Ranvir Singh, Alia Bhatt, Kareena Kapoor Khan, and Anil Kapoor. Priya Anand replaces Raiza Wilson!